The latest recruit at a Kidderminster school may be a little shorter than most pupils, and certainly more-hairy, but has already made a big impact on both pupils and staff. 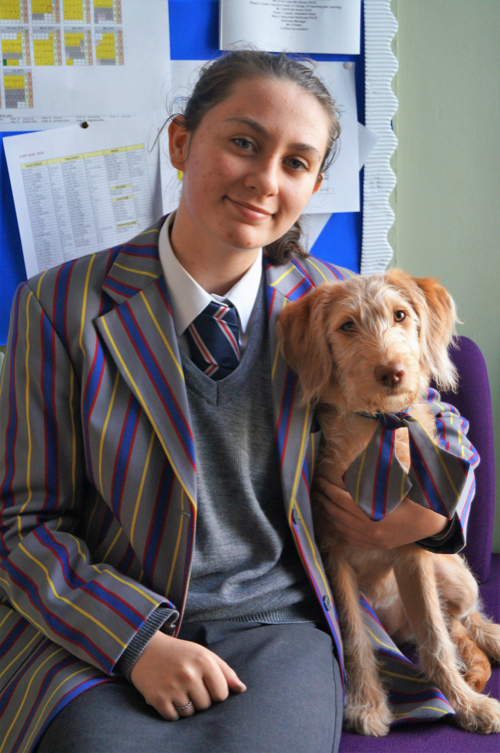 Although a school dog, Fern is very much part of a family and belongs to Mrs Leek-Wright, who had the idea of introducing a dog into school in the light of increasing concerns over mental health and the levels of stress that young people encounter in the modern-day education system. It has taken two years of planning, research and seeking advice to get to the reality of having a dog in school.